What Is a Certificate at UW? The ILS certificate operates like a minor. You can add it to any major and it only takes 18 credits to complete. Any FIG at UW gives 6 credits towards the ILS certificate. Why Get an ILS Certificate? 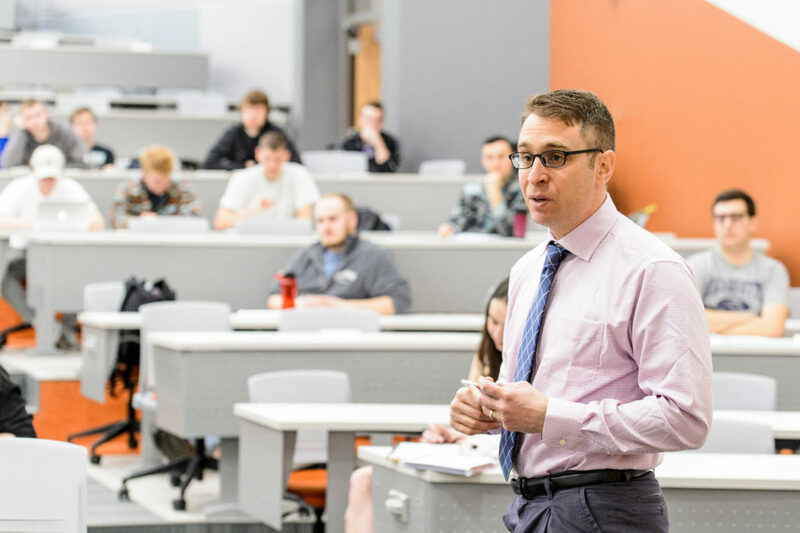 An ILS certificate teaches you how to think critically, connect and apply your studies, and signifies that you have completed a comprehensive liberal arts education. You can complete all of your general education and breadth requirements in a cohesive manner via the ILS certificate. Integrated Liberal Studies is an interdisciplinary liberal education core curriculum and ever-changing set of special topics courses focused on Western history, philosophy, politics, art, literature, and culture. The aim of ILS is to provide an integrated understanding of the great themes of human inquiry and expression in scientific, political, economic, and social thought, as well as literature and the arts. The program is an excellent, more cohesive alternative to completing breadth requirements through unrelated and fragmented introductory courses. ILS offers instead a coherent set of integrated courses that fulfill all breadth requirements, and combines core survey courses with smaller, seminar-style topics courses. There are minimal prerequisites for all ILS courses and most courses are open to freshmen. 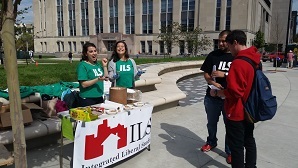 ILS is something of a “small liberal arts experience within a great University,” an academic home where you can meet friends with similar interests taking a common set of courses. 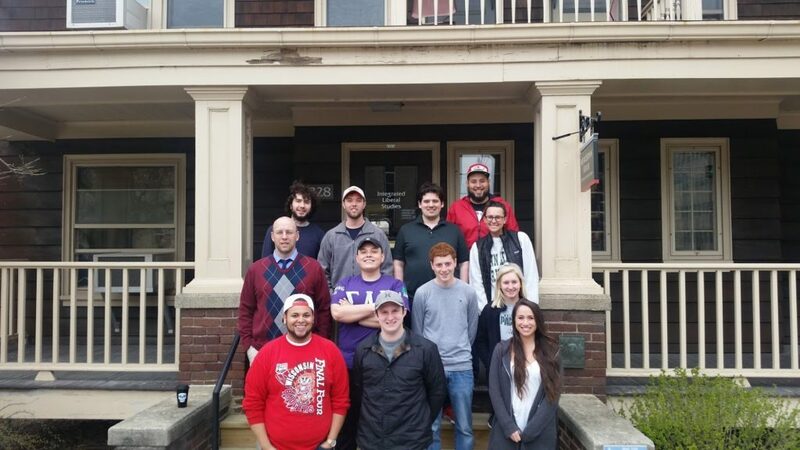 ILS holds a variety of student activities and events to sustain its community of learning. Our close relationships with the Bradley Learning Community and Chadbourne Residential College also mean that you could make ILS part of a complete living-learning experience. You can meet all of the Letters & Science distribution requirements for a BA degree through ILS. However, ILS is a flexible program: you can take as many ILS courses as you like. Some students make ILS the core of their first two years of study; others take ILS courses alongside their major throughout their undergraduate studies. The “first tier” courses (numbered 201-208) are organized historically and together offer a comprehensive view of the achievements of the mind in science, social thought, and the humanities. 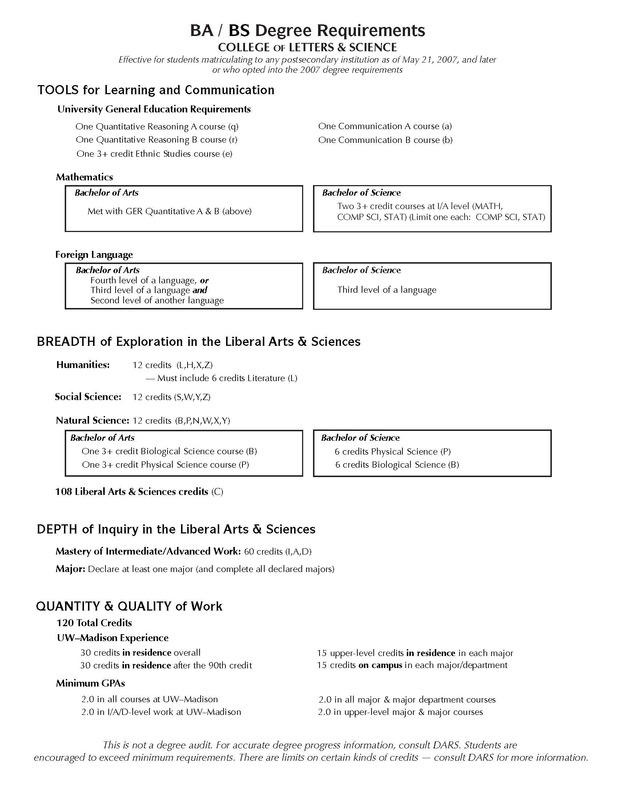 The “second tier” courses (numbered 251-256) deal with contemporary issues in science, social science, and the humanities. In addition to these classes, ILS also offers its own writing course, Critical Thinking and Expression (ILS 200), which sharpens analysis and composition skills. Students can receive a certificate showing that they have completed an integrated liberal education program that becomes part of their transcript. ILS also offers several scholarships of various amounts to dedicated students within the program. Integrated Liberal Studies is a certificate program. Students must complete 18 credits of ILS courses (approximately six total classes), including 6 credits in courses numbered 230 and above, one of which must be the capstone seminar (ILS 400). Upon satisfying these requirements, students will receive a certificate of completion: their transcripts will note they completed a program of interdisciplinary liberal studies in addition to their major(s). If you would like to work toward the ILS certificate, please stop by the ILS office in the Meiklejohn House, located at 228 N. Charter Street, and fill out the certificate declaration. Filling out the declaration does not obligate you to complete the certificate, but it does ensure notation on your transcript when you complete the requirements. Daniel Kapust teaches political philosophy. 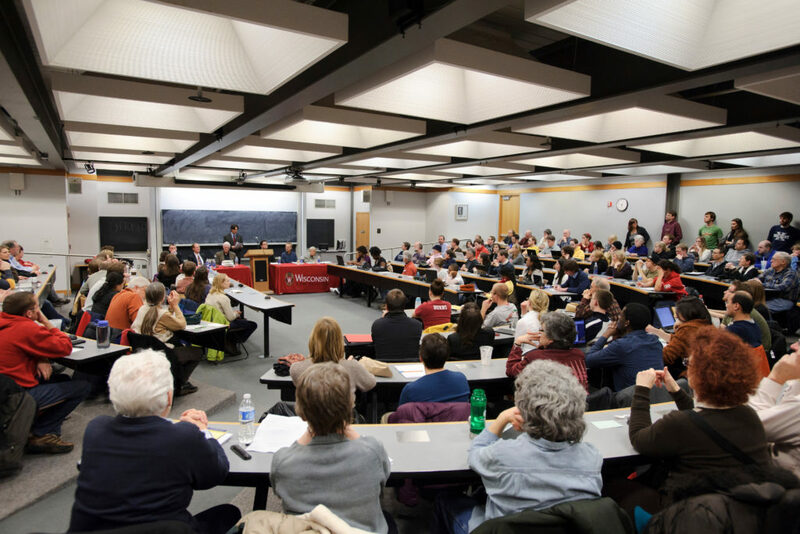 On Feb. 23, 2011, audience members listen during a teach-in hosted by the UW Law School to discuss the legal and political issues raised by Gov. Scott Walker’s proposed budget repair bill. ILS is open to all UW undergraduate students in any college. There are no requirements or pre-requisites to declare the certificate. Declaring an ILS Certificate may be accomplished any time during the year and does not need to be added to UW-Madison admission forms. 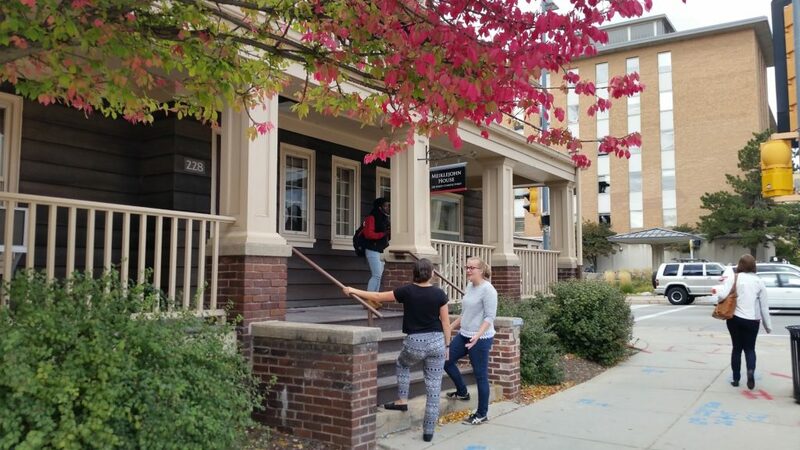 To declare an ILS certificate students can stop by the Meiklejohn House (228 N Charter St.) and talk to the Advisor or Administrator to fill out their declaration form. Click Here for advising FAQs.